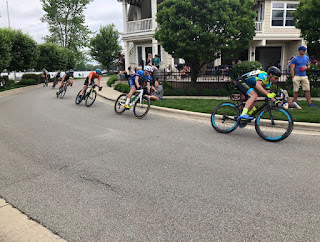 Raced this past weekend at Winona Lake Fat and Skinny Tire Festival. I kept the skinny tire of things and no Fondo. I know a disappointment. Friday night was the 3.2 mile TT. It has been a while since I've gone as hard as I can. I tend to like to ride comfortably hard for long periods of time. Hence my recent fascination with Fondos. Something else I haven't done in a while is race in the dark and metaphorically speaking I was left in the dark. First was figuring out how to use the portajohn in the dark. Trying set your shot before the door fully closed and hoped for the best. Second was realizing 30 second into the time trial as I was settling in that holding a target wattage would be difficult as I hadn't turned on the backlight of my Garmin and I couldn't see a thing. I've grown accustomed to the comfort of seeing that number while racing and was in a slight panic. Fortunately there is only one way to ride a 5km time trial, FULL GAS! So just went. Did hit my peak 7 minute power of the year, which was the duration of the time trial, so couldn't ask for more. Saturday was the road race. And there is not much to say here. It was over before it even began really. Three strong teams with representation in a big break and the ride turned into a group ride that no one wanted to be on. The whole morning I was kicking myself for not doing the Fondo, even though it would have been it the longest riding day in a year or two, but once the outcome of the race came in the first 7 miles it wasn't making getting over that any easier. Sunday was crit day! I did one race last year and it was the Detroit Crit. 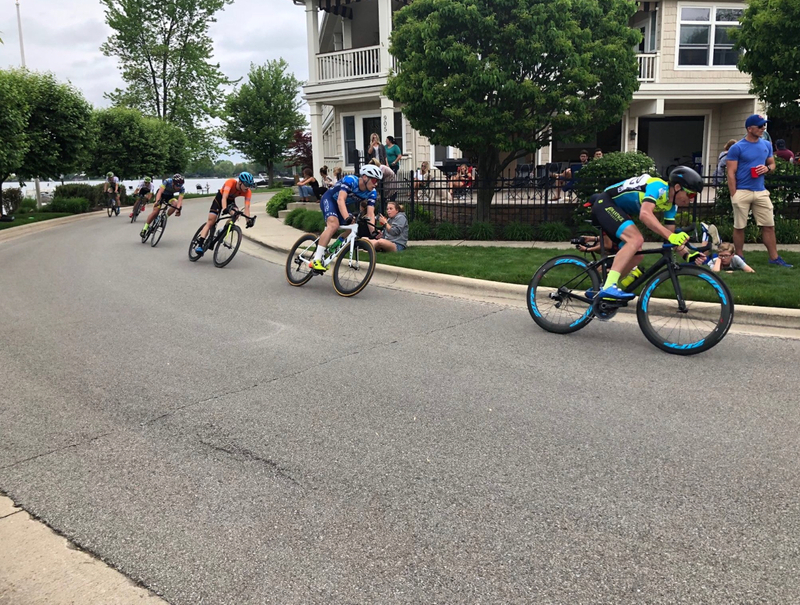 I have to say after doing that and then this day I forgot how much fun a criterium really can be. Sure it does get a little hairy at times, and crashes happen. DON'T PEDAL IN CORNER ONE! It's just full on most of the time, always action, corners, crowds, and speed. I felt a million times better physically then the day before, but still not where I'd like to be, off the front! Crits are more fun when you are the one dictating and not reacting. No races for me in a while. But a fun riding trip with my Dad is in the works in a couple of weeks. Looking forward to that. Unicorn Box Car Madelyn and I made for field day at school. Had to stick to standard box car racing standards. So no carbon. Training Tip Tuesday. Rome wasn't built in a day.